Asthma is a very common disease that affects not only the lungs themselves but also the airways that delivers the air to the lungs. Periodic attacks of wheezing and difficult breathing are caused by the lungs being over sensitive and reacting to certain things that trigger them to become inflamed and clogged. During an attack, asthmatics pant because the air passages become narrow and sometimes even become almost totally obstructed. Asthma develops at any age and an attack can be triggered at any time when inflamed by such things as dust, pets, mould, physical exercise, or even cold weather. Sometimes there is no apparent reason for an attack. Inflammation occurs in the airways and lungs and the lungs become swollen. The muscles around the lungs can sometimes tighten or spasm causing the airways to be blocked. The spasms keep the air from moving freely in and out of the lungs. Another reason for an attack is the build up of mucus since it can clog and cause narrowing of the airways which makes breathing much more difficult. Most people who suffer from asthma can live normal and active lives. Mainly it takes avoiding the triggers that causes the asthma to be worse, knowing what your symptoms are, and developing and maintaining an effective treatment program. Sometimes asthmatics may need some short term medication to help when the symptoms worsen and maybe even long term medicines to reduce the inflammation that may occur in the airways so as to help prevent asthma attacks. Naturally, the first step to asthma control is to have an accurate diagnosis by your doctor in order to rule out other causes of the symptoms you are having. While the diagnosis may conjure all sorts of visions, the disease does not have to be scary if a proper management program is adhered to. Some doctors have been known to call asthma by other names such as reactive airway disease or wheezy bronchitis. Symptoms of asthma vary from person to person and the disease can certainly look like other lung disorders. While the symptoms of asthma usually appear before the age of 6, it is somewhat difficult to make a true diagnosis in younger individuals. What doctors look for are facts that make it more likely to assume that a child’s conditions will continue. Some of these factors could include a family history of the disease, whether the symptoms are not associated with a cold, if they might be associated with a trigger such as smoke, etc. Persons whose symptoms continue also tend to wheeze at night, when the exert themselves through exercise, or with the changes that occurs with the seasons. They may also suffer from other allergic like symptoms such as dry, itchy skin or stuffy nose. 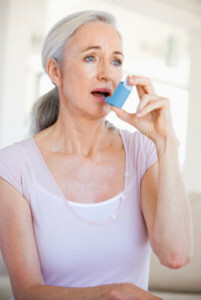 The older a person is, the easier they are to diagnose with asthma. The doctor will need to be aware of certain things such as the medical history of the patient, whether they are allergic to any medications and the results of lung function tests. Some of these tests are difficult to give to young children as an example one where the patient breaths in and out through a tube for several seconds. 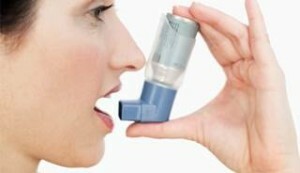 Although asthma is not curable, it is treatable with a good treatment program. We all lose lung function as we age, but untreated asthma can speed this process. Stress has been known to alter the immune system and can increase the chance of an asthma attack in sufferers. While we may not always be able to avoid some of the triggers that cause an attack, being aware of them and avoiding them as much as possible will help with your asthma control program.